Justifacts Credential Verification, Inc., a forerunner in the background check industry, announced today that it has provided access to an enhanced Digital Support suite to all Justifacts clients. By accessing Justifacts Digital Support, clients now have additional support features to improve the background check customer service experience. According to Justifacts’ Senior Account Manager, Michael Jackson, “Customer service is at the forefront of our employment screening services. 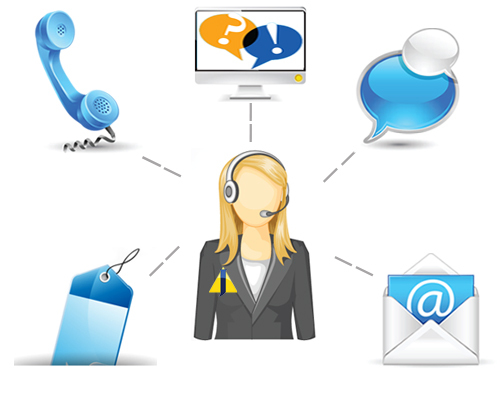 Providing additional features that our clients can use such as live chat with their dedicated Account Manager. Our clients can also access an educational support knowledgebase. This allows our team to provide a more accurate employment search product with a reduced turnaround time”. Informative Online Knowledgebase: This Knowledgebase is dedicated to answering a variety of common questions such as report retrieval, applicant questions/issues, background check specifics, and much more. Ticketing and Problem Escalation System: Both clients and Account Managers are able to create Tickets for fast resolutions to their account problems. Live Chat Support: Has a variety of features such as direct chat responses from your Account Manager, client screen sharing for faster resolutions, satisfaction surveys, and more. Direct Justiweb Integration: All clients have instant access to these support features when using our online system without the need for a separate login. Centralized Support Hub: One location for all of your support needs! The Digital Support system is the latest of many service expansions that Justifacts has developed over the past 18 months. In that time, Justifacts has expanded from 7 ATS integrations to 20, formed additional International Background Check resources, and launched the Applicant Portal System. These expansions illustrate Justifacts’ commitment to helping clients access superior background checks, in their preferred ATS format, with an unmatched level of customer service. Founded in 1982, Justifacts Credential Verification provides global background check services for our clients’ pre-employment verifications. We provide a superior, cost-effective product that is efficient in turn-around time. We maintain an unmatched level of customer service in order to meet and exceed our clients’ needs in their pre-employment background checks and throughout their hiring process. As well as, Justifacts offers over 100 different screening searches such as employment verifications, background checks and degree verifications to organizations ranging from small businesses to Fortune 500 companies worldwide. To learn more, go to www.justifacts.com.